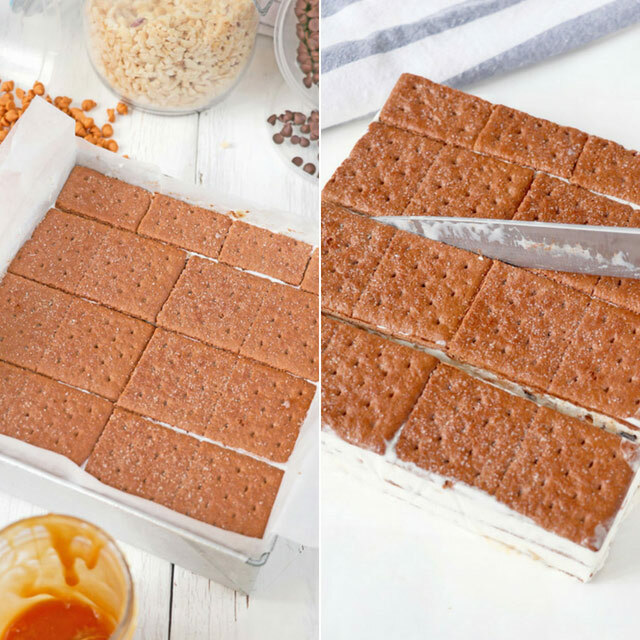 This Graham Ice Cream Sandwich is a fun project for the kids as it is very easy to make and a great treat this summertime to cool you down. 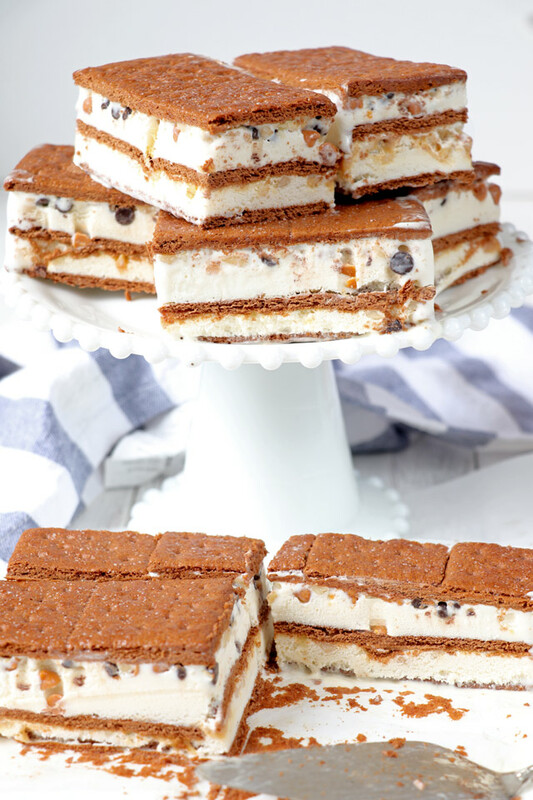 These Graham Ice Cream Sandwiches brings back childhood memories. It became so popular when we were kids and were sold in various flavors. It was a perfect way to cool down during the hot summer days after playing for some hours under the sun. 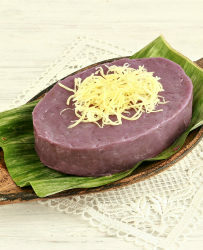 In the Philippines, of course, we made our own local homemade version and that is done by just literally sandwiching a scoop or two of ice cream in a bread cut into half, usually a Pandesal or buns but white bread would also do. 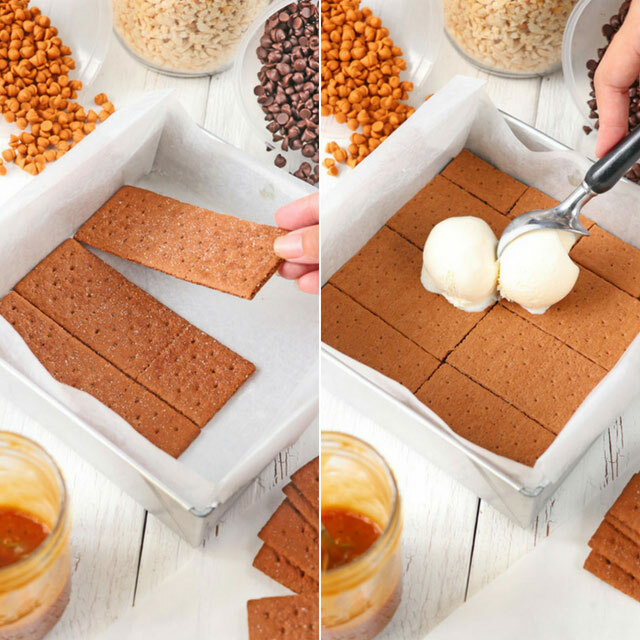 There’s a bunch of ice cream sandwich recipes out there that includes baking your own thin chocolate cake wafer. They look delicious! 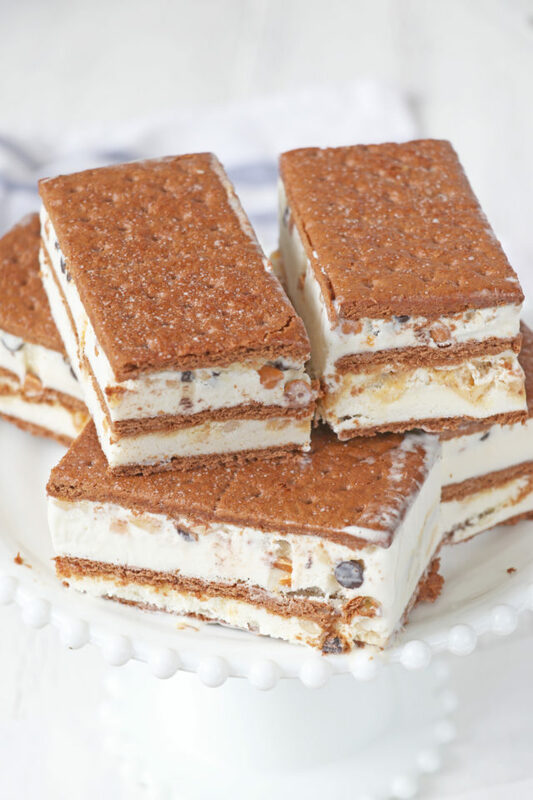 But if you prefer to a much easier and faster way, then you are in the right place as this ice cream sandwich only uses Graham crackers. 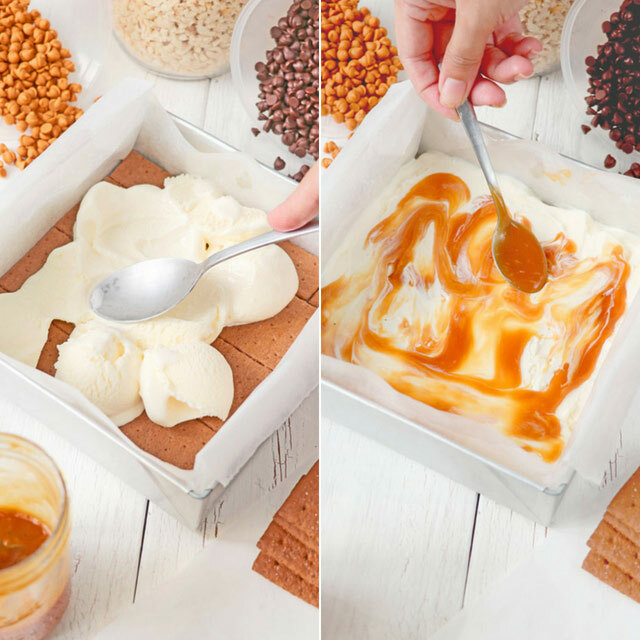 You can use any of your favorite ice cream flavors but I like the simplicity of vanilla because it blends very well and does not overpower the other flavors that you might want to add. Like I like to add a thin layer of caramel sauce to make it a little special… but I think chocolate sauce should also be good for this easy ice cream sandwich. You may use any nuts you prefer or other alternatives like puffed rice (Rice Krispies), marshmallows or corn flakes, be creative. Same goes for the chips, you can use white chocolate chips or mix different kinds. Some might argue that there is (probably) an easier way to do this. 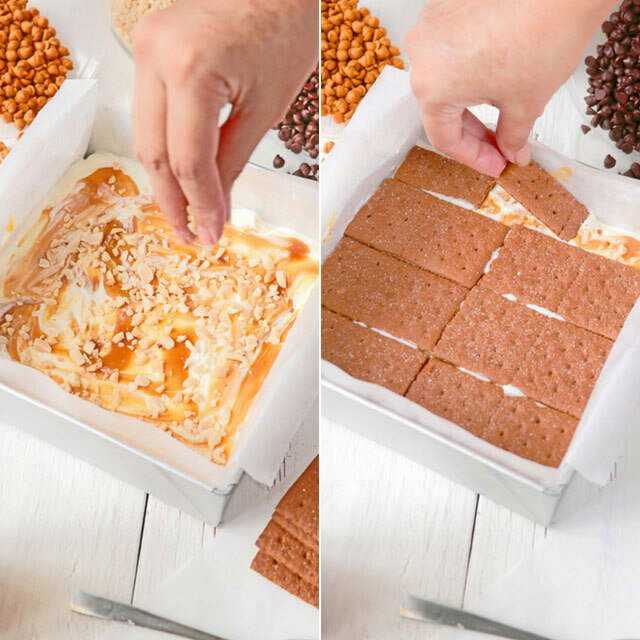 That is by just freezing a layer of ice cream and cutting it to the exact size of the Graham crackers and make a sandwich and done. They might be correct actually but I like it this way as layering them like this allows the Graham to absorb some of the moisture of the ice cream allowing them to expand just a little while retaining some of its crispiness. This makes them easier to bite into. If not gonna be eaten immediately, I would suggest wrapping each sandwich in a parchment paper so it is easier to store and also better for handling while eating them. Not too messy. Line a square pan with parchment paper. Arrange a single layer of Graham crackers at the bottom of the pan. Scoop vanilla ice cream on top of the graham crackers and spread evenly into a half-inch thick. Drizzle with caramel or chocolate sauce and spread to cover the surface. Sprinkle top with some nuts. Cover with another layer of Graham crackers. 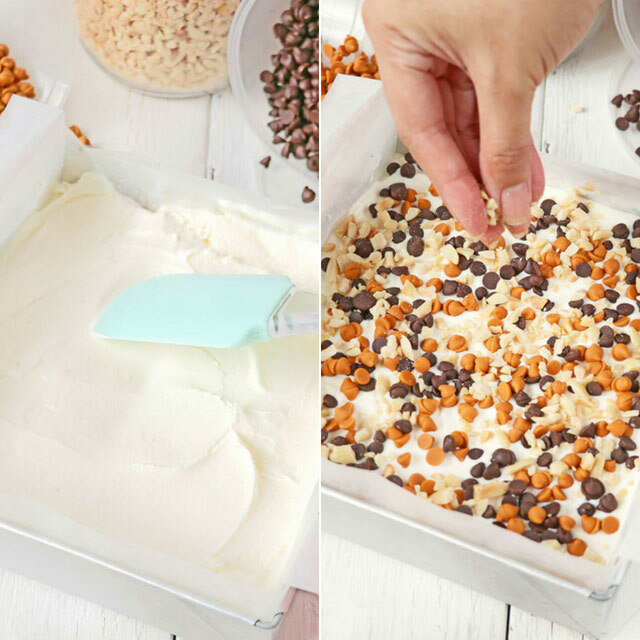 Repeat above but this time sprinkle ice cream with butterscotch and chocolate chips. Cover the pan with aluminum foil and place in the freezer for at 3-6 hours or until completely frozen. Once it is ready, pull the paper very slightly to just loosen it from the sides and tip it over into a flat surface to remove the ice cream sandwich from the pan. 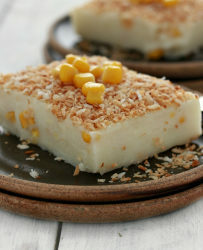 Remove the parchment paper and cut into squares or rectangles and serve. Don't forget to soften the ice cream before making these. Just leave it at room temperature for a few minutes.